Douglas onderdelen, nieuw en gebruikt. Douglas parts, new and used. Front forks for Douglas CW, 1924 - 1926. No springs. Set of unfinished castings for gearchange-plate, 3-speed. Glass for the oil dripfeed for Douglas 2 3/4 HP, 1913 - 1919. 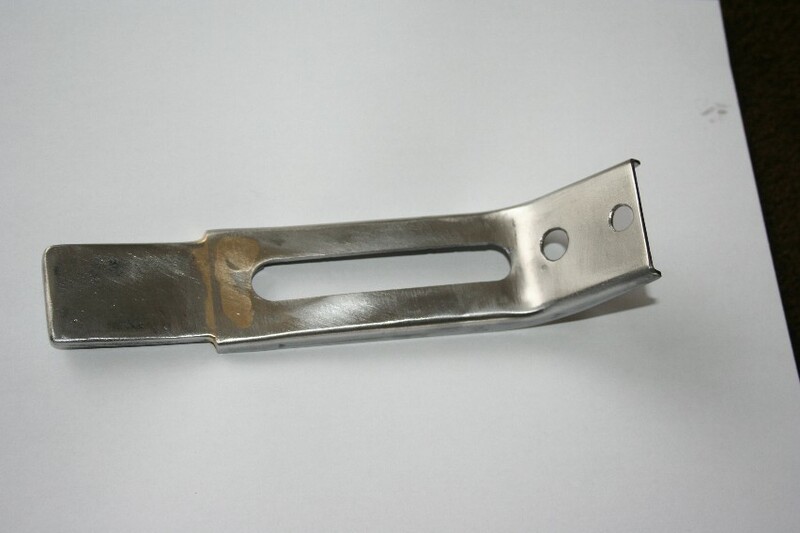 New-cast plate for gearlever; unfinshed casting. Gear lever for 2 speed , 2 3/4 HP , 1913 - 1926 , drilled for 3/8" rod . Spring for hand oilpump Douglas 2 3/4 HP , 1913 - 1926 . Rearbrake for Douglas , 2 3/4 HP , 1912 - 1919 . Cast in aluminium - bronze . Rearbrake for Douglas 2 3/4 HP , 1920 - 1926 . Cast in aluminium-bronze . Frontbrake 2 3/4 HP , 1912 - 1919 , not nickel plated . Frontbrake 2 3/4 HP , 1920 - 1921 , not nickel plated . Frontbrake 2 3/4 HP 1922 1926 , not nickel plated . Round glass for petrol cap 2 3/4 HP en 4 HP . 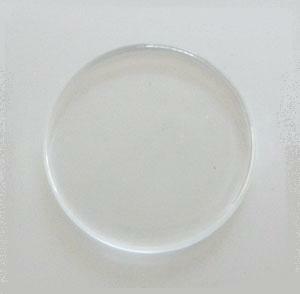 Diameter 46 mm , 2 mm thick . Gearchange rod set for 2 3/4 HP , 2 speed , 1912 - 1926 . Part nrs. 1285 & 1286 . Gearbox pulley for Douglas 2 3/4 HP , 2-speed , 1912 - 1925 . Not nickel plated . Cable clips for 2 3/4 HP frame , 1912 - 1925 . Frontwheel stand , 2 3/4 HP 1912 - 1919 . Partslist on CD . 2 3/4 HP models , 1912 onwards . Partslist on CD . 4 HP models , 1915 - 1922 . Locking plates for gearwheel studs , engine 2 3/4 HP . 7,- euro's each . Onbewerkte gietstukken voor gietijzeren zuigers 2 3/4 HP . 60,- euro / stuk . Unfinished castings for cast-iron pistons for 2 3/4 HP . 60,- euro's each . Footboards for Douglas 2 3/4 HP. 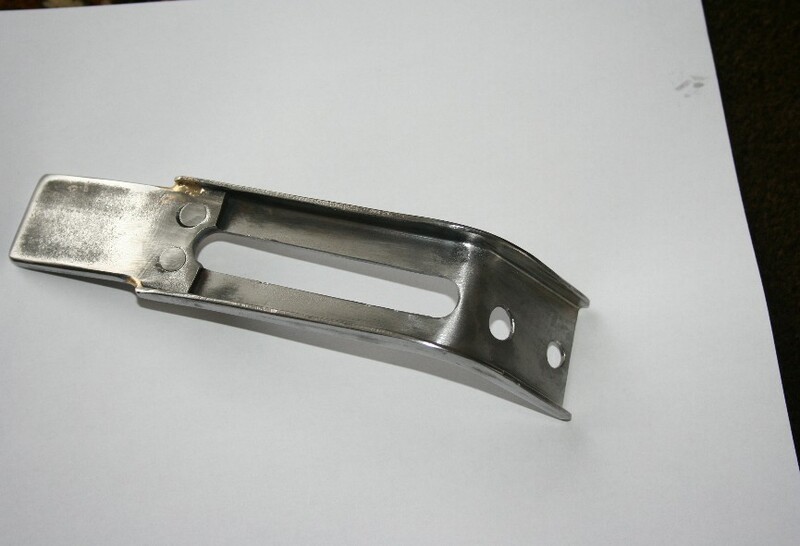 Headlamp bracket for 2 3/4 HP , 1913 - 1919 . Handvatten voor 2 3/4 HP en 4 HP . Leverbaar voor 22,2 mm en 25,4 mm stuur . 45,- euro / paar . Handlebar grips for 2 3/4 HP and 4 HP . Available for 7/8 " and 1" handlebars . 45,- euro's / pair .